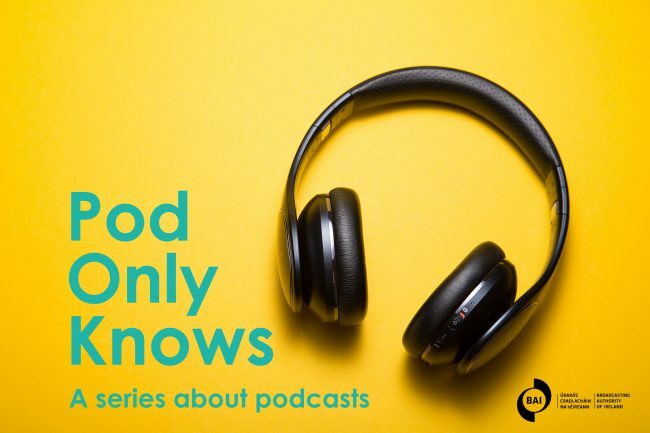 Pod Only Knows is a 6 part series looking at the phenomenon of podcasts. With the abundance of smartphones, the popularity of podcasts has exploded in the last few years. The series will look behind the scenes at some of the most popular and fascinating Irish and international podcasts available. The shows featured will be The Truth, The Cinemile, Sound Matters, The Alison Spittle Show, Love Me and Meet Your Maker. Presented by Emer Horgan and produced by Alan Meaney. Please listen on headphones if you can. You can rate and review the show on iTunes. Starting Monday November 20th at 6pm on RTE Radio 1 Extra. Listen live on RTE Radio Player or LiveRadio. You can also listen on Virgin Media Chanel 920/940 or Saorview . This programme is made with the support of the Broadcasting Authority of Ireland with the Television Licence Fee. 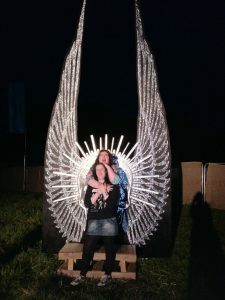 We speak to Jonathan Mitchell, producer of The Truth, at the Hearsay International Audio Arts Festival in Killfinane, Co. Limerick about how he decided to make movies for your ears, his process for recording audio fiction and his responsibility to his listeners. The Truth makes movies for your ears: short stories that are sometimes dark, sometimes funny, and always intriguing. Each story is different, and usually 10 to 20 minutes long. They take you to unexpected places using only sound. The series is a completely independent production, and they create their own original stories. Many of their actors perform and teach at Magnet Theater in New York City. Their stories are directed and sound designed by Jonathan Mitchell, who has been making radio for over 20 years. 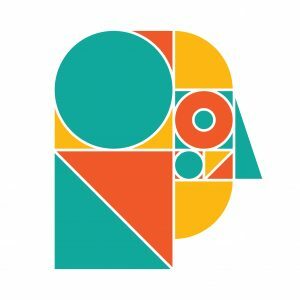 The Truth is a founding member of Radiotopia from PRX. First broadcast on Monday 20th November at 18.00 on RTE Radio 1 Extra. 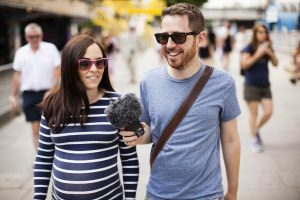 Married couple from Cork, Dave and Cathy podcast their walk home from the movies. The Cinemile was voted the UK’s Best New Podcast at the British Podcast Awards 2017. They spoke to us on the phone from their home in London, shortly after the birth of their baby boy, Oscar. They discuss how the idea to record the podcast came to Dave in the shower, their opinions on podcasting and how listeners feel like they know them personally. First Broadcast on Monday 27th November at 18.00 on RTE Radio 1 Extra. B&O PLAY’s award-winning series of podcasts looking at – and listening to – the sounds of the world around us. 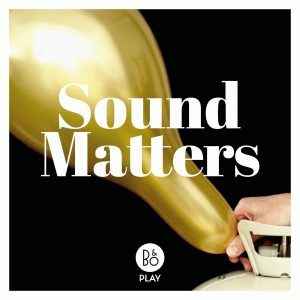 Sound Matters investigates our noisy cosmos, how we listen to sounds, the stories we tell about them, and all the ideas, inventions, discoveries, possibilities and ideas that live in the realm of the audible. Written and produced by Tim Hinman, with B&O PLAY. Tim discusses the differences between radio and podcasting, sponsorship of the series and how he thinks of his mother in law while making Sound Matters. First Broadcast on Monday 4th December 2017 on RTE Radio 1 Extra. Alison Spittle is a comedian and the star of RTE’s ‘Nowhere Fast’ sitcom. She’s been described as ‘highly entertaining’ by The Irish Independent. She hosts The Alison Spittle Show – a monthly Iive comedy chat show with guests. Pod Only Knows caught up with Alison and producer Sarah Garvey backstage at The Workman’s in Dublin during soundcheck before their live show at the Dublin Podcast Festival. Sarah and Alison talk about how they began working together, the diversity of guests on the podcast and their live show. The Alison Spittle Show is part of the Headstuff Podcast Network and producer Alan Meaney caught up with Headstuff founder Alan Bennett to find out more about the the website. The podcast of this episode has an extended interview with Alison and Sarah. First Broadcast on Monday 11th December 2017 at 6pm on RTE Radio 1 Extra. Deep down we all just want to be loved, so why is it one of the toughest things to get right? 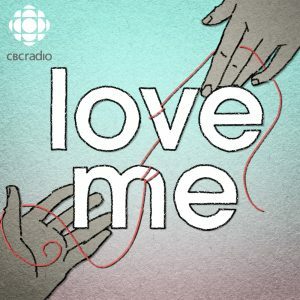 Love Me is a podcast about the messiness of human connection. It’s a son shielding his dad from a painful family secret. A widow confronting her grief by dating her worst match. A pair of robots stumbling through an awkward courtship. We caught up with producers Cristal Duhaime and Mira Burt-Wintonick and presenter Lou Olkowski at the Hearsay Festival in Co. Limerick and we all squashed onto a couch at the local hostel for a chat about how they all met and started Love Me, their working relationships and listeners reactions to the series. First Broadcast on Monday 18th December 2017 at 6pm on RTE Radio 1 Extra. Meet Your Maker is a show about the people who make the things we love. It’s hosted by Liam Geraghty. It’s a show where he meets the makers, creators, composers, authors and builders of the cultural landscape. From board game designers to video game music composers and from city architects to animators, it goes behind the curtain, inside the mechanics and onto the pages of scribbled on, ink soaked notepads to hear stories of how people make the things they make! Liam Geraghty had one of the first podcasts in Ireland with the comic cast, which he made in his bedroom and he’s now gone onto produce Meet Your Maker. Liam kindly invited us to his house in Dublin and of course it’s full of comic books and animated pictures on the walls. We talked about his love of podcasts, the freedom of producing his own show and his radio work. First Broadcast on Monday 1st January 2018 at 6pm on RTE Radio 1 Extra.